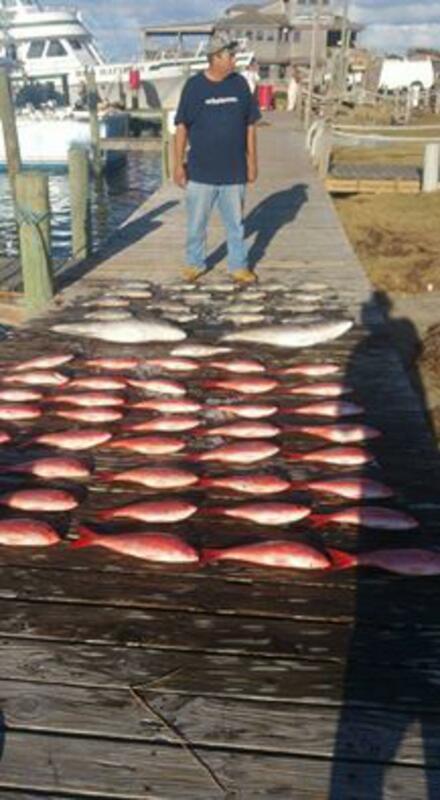 Hatteras Fishing Report for 10/20 -- Finally back out fishing again today and we found dirty water out to 70 fathoms. We decided to bottom fishing instead of hoping to find something out in the deep with not many boats to help look around. It was definitely the right choice as the big beeliners were chewing. We easily caught a limit and a few triggers and a couple jacks mixed in. A commercial boat had a sign of kings today so we are switching over and going commercial fishing for awhile.